The wait is over! 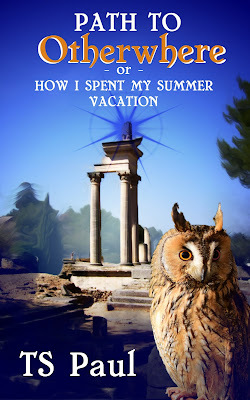 Agatha's vacation is revealed! Her entire life living with her Grandmother, Agatha was told to never, ever, go into the Garden alone. But there are secrets never discussed and she believes the key is through the garden gate. Join Agatha and Fergus as they travel to the realm of the Mystical Library and discover who and what they were meant to be. This long awaited story is a crossover of sorts merging two story lines into one. It takes place between Witness Enchantment (Book 4) and Night of the Unicorn (Book 5). Get books 1 thru 6 in the Federal Witch series for only £0.99 each this week in the United Kingdom! 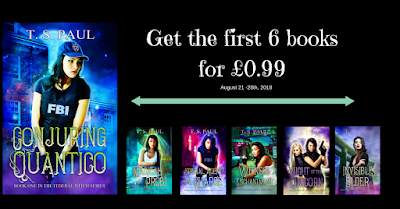 Get the first six books in the Federal Witch main series for less than a full pound! This week only and only in the United Kingdom and Amazon.co.UK. 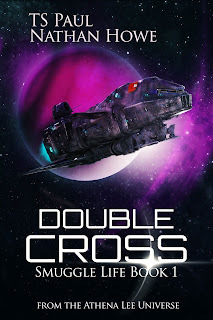 Free Book of the Weekend! Fergus would say that pizza and salad make the world go around. Horses might like hay but Unicorns eat whatever they want. Magical hay is his ultimate favorite but when Agatha takes the tiny Unicorn out to dinner he's up for most anything. Including Russian food. 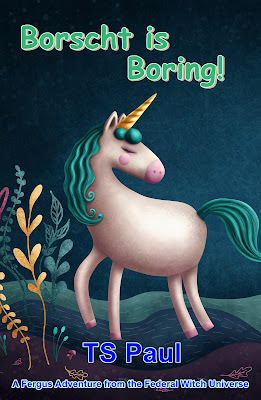 Enjoy two short stories about fan favorite Fergus the Unicorn today. 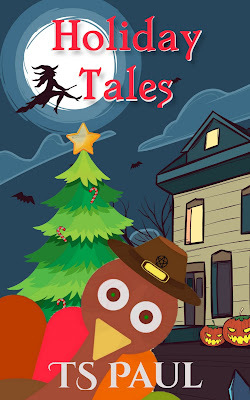 What do monsters that live in the earth, zombie turkeys, and flying reindeer have in common? All three are Holiday tales set inside the Federal Witch Universe. Now you can get all the holidays in a single volume. Zhanna has a vision, one of the return of honor to the Witches and Mercenaries of Russia. Making that hope a reality is becoming more difficult as time goes on, with the young woman battling prejudice from her neighbors and attacks from other Magic users. It is a good thing that Dascha always has her back, as her Witch sets out to show the disorganized and dishonored mercenary Witches of Russia exactly what it means to stand by your Word! Lead by example, practice what you preach. Progress is being made, one step at a time as Zhanna acquires spells and allies. It is too bad that progress is paid with pain. Set inside the Athena Lee Universe! 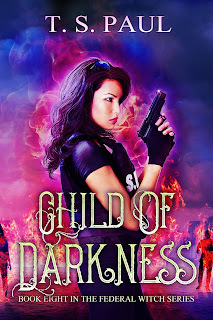 You've read Child of Darkness, now read how it started! Demonic forces are at work in the world. During the last Demon War, thousands of innocent people were killed and entire countries destroyed. This time it’s going to be different. In a world filled with paranormal creatures, only the Human Mages of Arcane are on the job. Their goal is saving humans. Because if they don’t do it, no one else will. A Demon Prince has been raised by dark Witches on the island of Sicily. Italian armed forces are trapped and helpless against the ever-increasing Horde. If the Demons get loose, they will ravage their way across the unsuspecting world, just like last time. One team, four humans, are the world’s last, best hope. Fight or die. There are NOT any other options. After a successful mission in Tennessee, Agatha and her team were hoping for a few days off to rest and recharge. But events across the Atlantic in Europe have changed everything. 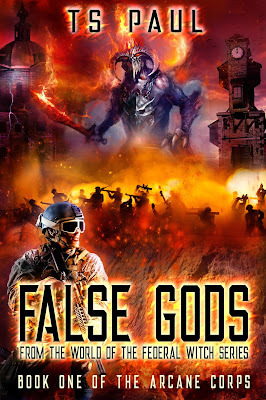 Demonic creatures swarming across what is left of the Strega organization's secret base have started what could be Earth's second Demon War. To top it off, Agatha's Aunt Camilla has been seen in Charleston, South Carolina. For more than a year Agatha has wondered what happened to Camilla's body after she was killed that night in front of her grandmothers house in Maine. A year long manhunt found nothing. American intelligence agents claim to have proof that it was she that raised the Demon Lord in Italy. Agatha and her team are immediately sent to Charleston to confront and arrest her. This ends now. But the Demon Lord has other ideas and Charleston will burn as a result! 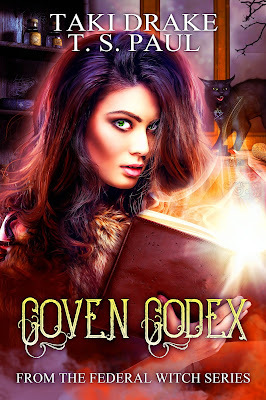 Book 8 is a continuation of the ongoing Federal Witch Series. Get the first seven books in the Athena Lee Chronicles for $0.99! 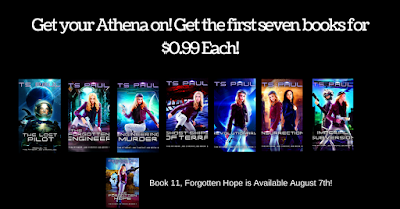 Get books one thru seven and the prequel of the Athena Lee Chronicles for less than a buck! The new book eleven in the series will be out this week! Camilla Blackmore is supposed to be dead. 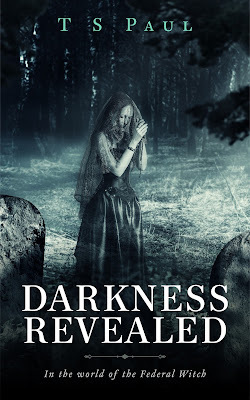 Everyone, including her two daughters, believes she was killed during the attack upon the Blackmore estate by the Missionaries of Death assassins. But she wasn't. Camilla was captured and transported to the headquarters of the Strega, evil Italian Witches who control the assassins as if they were puppets. Now comes the true purpose of who the Strega are and what role Camilla Blackmore is to play. Will Camilla be pawn or Queen?